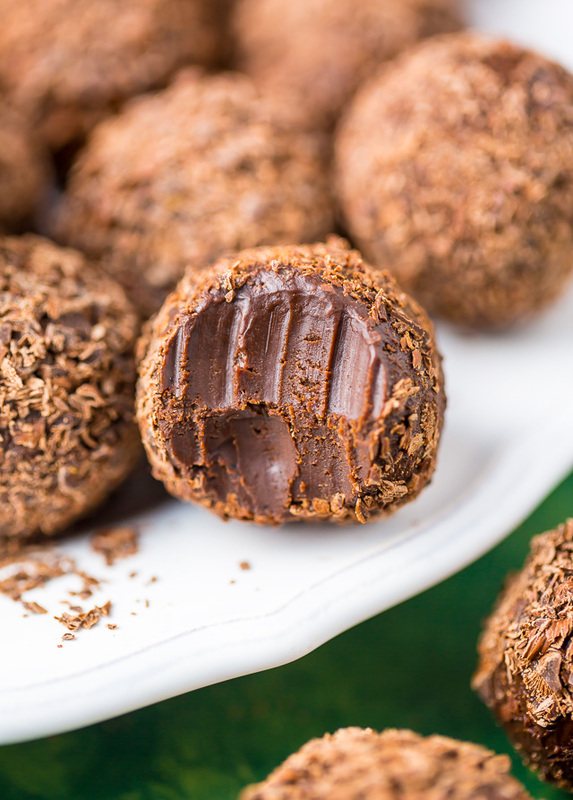 Melt-in-your-mouth Kahlua Chocolate Truffles are made with just 5 ingredients. Sorry to tempt you like this so early in the morning… but I just couldn’t resist sharing these decadent Kahlua Chocolate Truffles with you right now. Did you see me make them on Instagram stories yesterday? So much fun. This luxurious recipe is rich, decadent, and perfect for the upcoming holiday season! 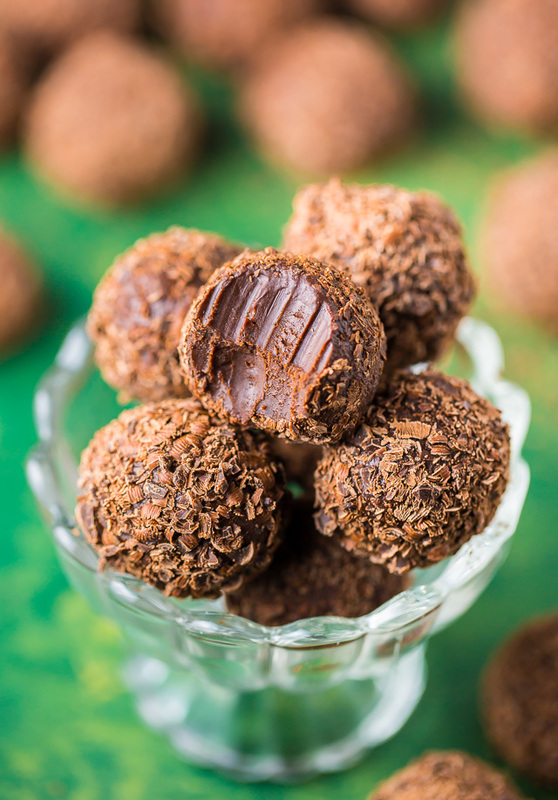 Trust me when I say these Kahlua Truffles are going to make great gifts for all of the chocolate lovers in your life. In fact I just packed up a few boxes to bring with me to Pennsylvania. My sister brought twins into the world last night (!!!) so I’m off to spoil and pamper her with plenty of love and chocolate! But first, let’s dig into these beauties together. 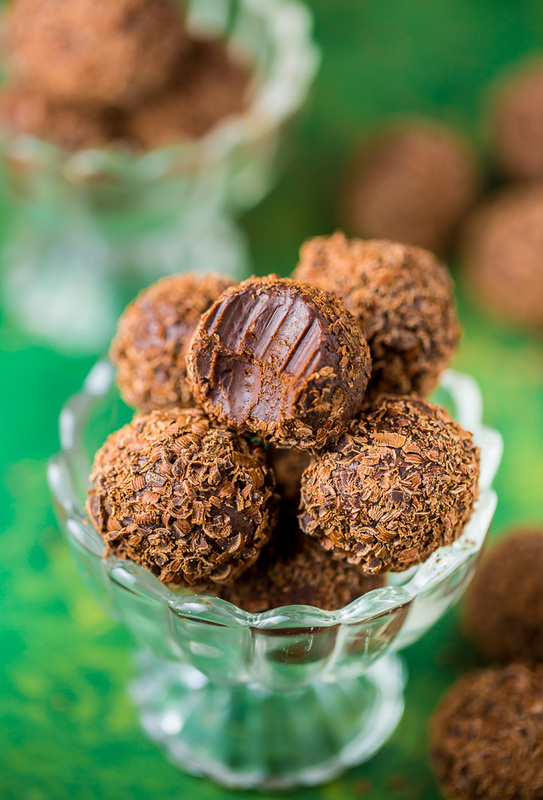 If you’ve never made homemade chocolate truffles before, you’re in for a treat! 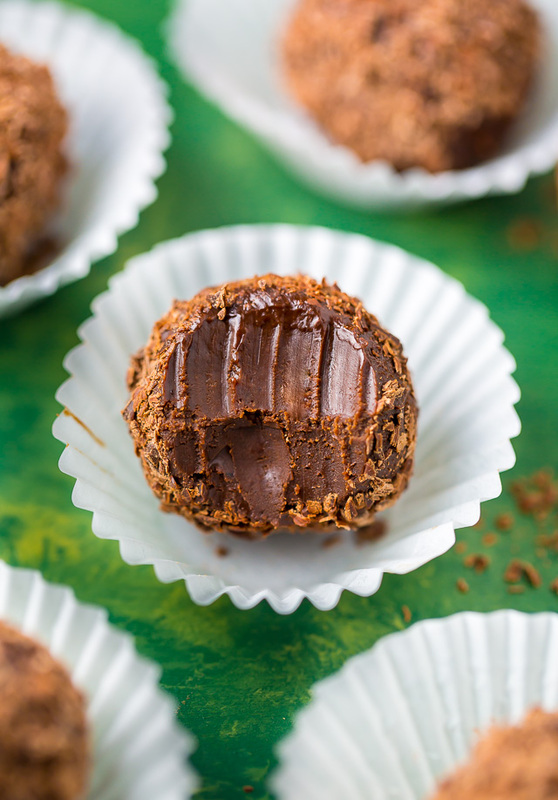 I have a good variety of truffle recipes hiding in the archives (including oreo truffles, grand marnier truffles, and salted peanut butter truffles) but let’s be serious – can one ever have too many truffle recipes?! Obviously we both know the answer to that is NO. So when a reader (Hi Liz!) requested Kahlua Chocolate Truffles, I was all over it. Since Kahlua is a coffee liqueur, and coffee plays so well with chocolate, I just knew this flavor combination would be a hit. I also added a teaspoon of espresso powder to really amp up the flavor and balance out the sweetness. As briefly mentioned above, Kahlua is a rich coffee liqueur made from Mexican coffee, spirits, and vanilla. You should have no problem finding it at your local liquor store, and most carry mini-bottles, in case you don’t want to invest in the full-sized varieties. You’ll only need one tablespoon for this recipe. 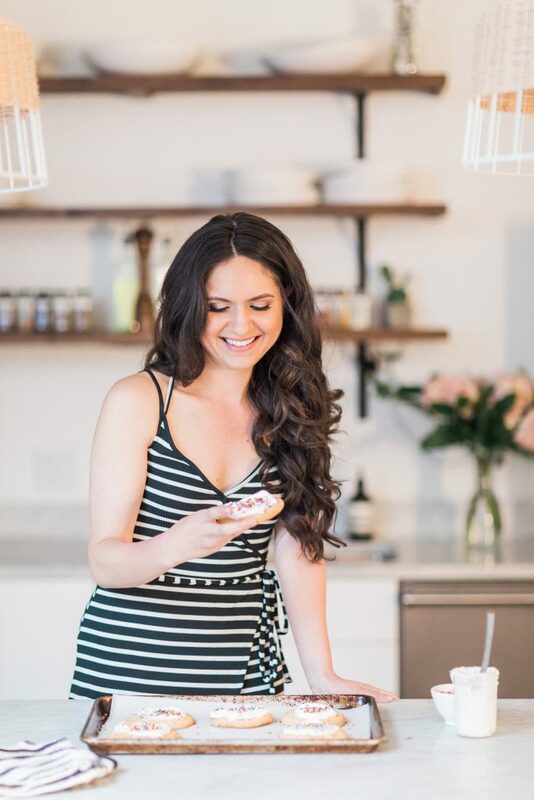 Don’t skip the espresso powder! It helps enhance the flavor of the chocolate without adding an intense coffee flavor. If you’re on the market for a new jar, I highly recommend King Arthur Flour Espresso Powder, which is what I use in all of my chocolate desserts. I recommend using high-quality chocolate for this recipe. 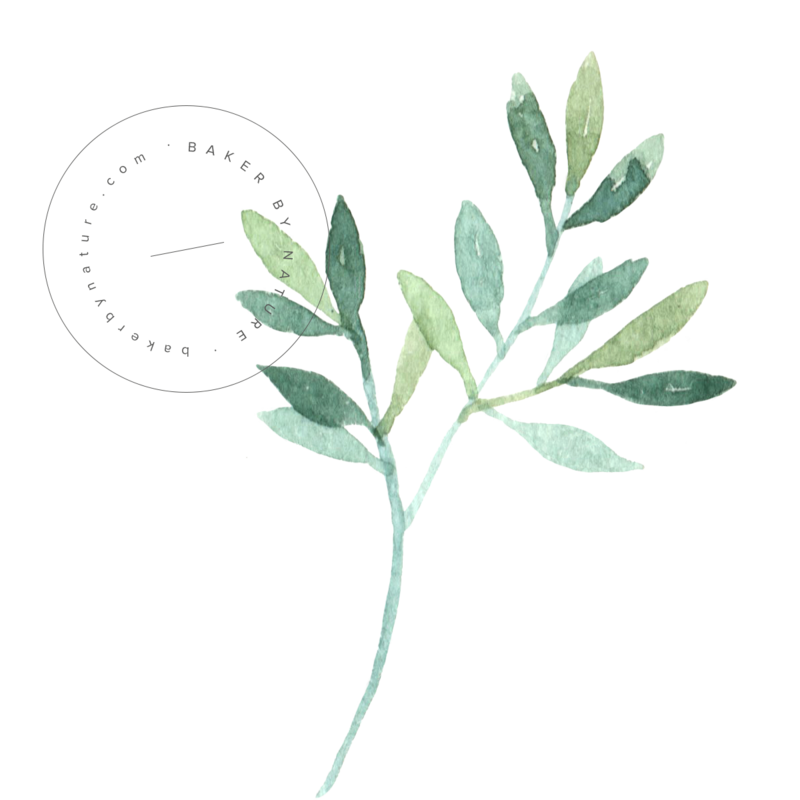 Since there are only a few ingredients, each one really shines through. I used Ghirardelli semi-sweet chocolate bars, but use any brand you enjoy. Just be sure not to use chocolate chips, which have inferior flavor and texture for a recipe like this. You must allow the truffle mixture to cool for at least 4 hours, or until it’s solid enough to scoop. You can use a regular spoon for this step, but a cookie dough scoop like this will make it much easier. Due to the nature of chocolate, I recommend keeping these kahlua chocolate truffles in the fridge until needed. They’ll be ok at room temperature for a few hours, but I wouldn’t suggest keeping them out longer than that. If you plan on gifting them, simply let the lucky recipient know to keep them cold. I do not suggest mailing these. Alright! Time to edit some pumpkin pie photos for you, then I’m off to meet my new niece and nephew. Hope you treat yourself to some Kahlua Chocolate Candy SOON. 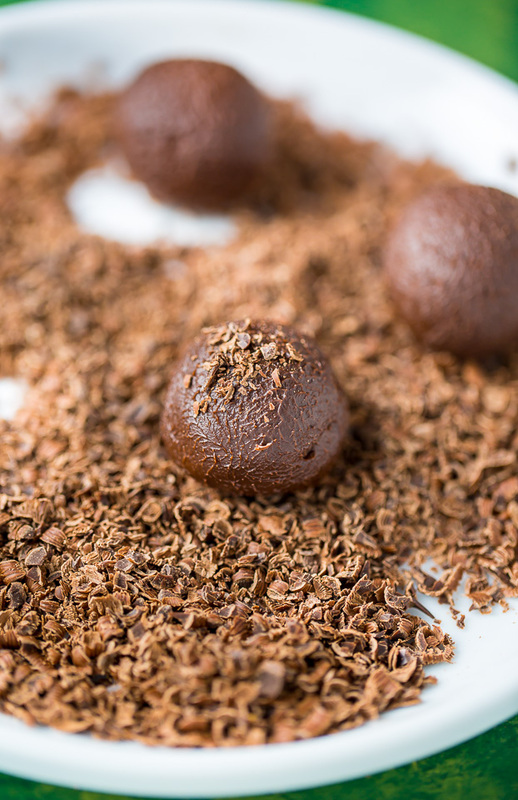 Melt-in-your-mouth Kahlua Chocolate Truffles are made with just 5 simple ingredients. Chop the chocolate and set aside. In a saucepan over low heat, warm the cream until small bubbles begin to form around the sides of the pan. Remove cream from the heat; add in espresso powder and chopped chocolate, and whisk smooth. Cool for 5 minutes. then stir in butter and Kahlua. Cool to room temperature, then cover tightly and refrigerate for at least 4 hours, or until firm enough to scoop. Grate chocolate using the course side of a grater, or finely chop it if you don't own a grater. Transfer grated chocolate into a wide, shallow dish and set aside. Line a large baking sheet with wax paper; set aside. Scoop out a tablespoon sized round of the chilled chocolate and use your hands to shape it into a ball. Roll the truffle in the grated chocolate, then transfer to the prepared baking sheet. Repeat until there's not chocolate truffle mixture left. Store the truffles in an airtight container, in the refrigerator, for up to two weeks. Hi Jasmeet! I’m so glad you enjoyed them 🙂 Truffles are very soft by nature, but chilling them for a longer time before serving can help them stay stable at room temperature for a longer time. If you dipped them in chocolate … would that allow them to sit out? I am going to try these soon … I love to treat my stampin’ friends to chocolate and these look awesome. I can’t wait to try these! Is there anything else besides grated chocolate that they could be rolled in that might help them not melt so quickly? Hi Virginia! I think dunking them in tempered chocolate could help 🙂 Can’t wait to hear how they turn out! If I make these 24 hrs in advance of a party, will they still taste fresh? Great thanks!! Unfortunatly, I could not fi d the expresso powder in time so I hope it won’t take away drastically from the final result/ taste. I just went to my local grocery store, took small amount of expresso beans and had them finely ground, also used this to roll some in, turned out really good!! Going to make these BUT can they be frozen? Hi Sally. I don’t recommend freezing them, but they can be kept in the fridge for up to a week! 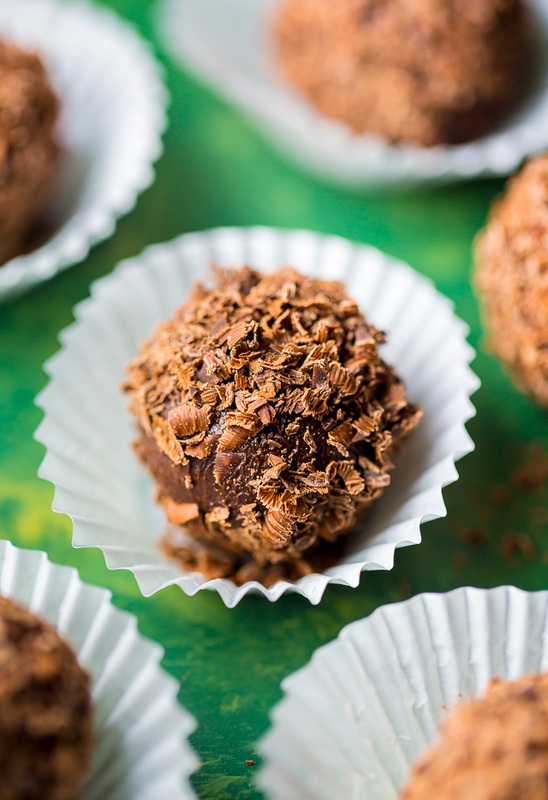 I want to thank you for this Truffle recipe. I had one years ago and lost it. This is the best ever. I roll them in dry cocoa powder and also hazelnuts. A family favorite. I’m wanting to try them but not mad on espresso… what can I replace it with or can it b left out. Instead of individual truffles, I would like to put this into a pie. What kind of crust(ish) would you recommend? Chocolate or graham crust? Crushed pretzels? Nuts? Just wondering if you had any suggestions. Hi. Are these ok for kids? I couldn’t find espresso powder so I ground up my own espresso beans. Will that work? yep that’s what i did, taste awesome!! I just made these for gifts, they turned out awesome!! thank-you for the recipe, I love coffee/chocolate combo, I had no issues with mine. I actually stored them in my garage since very cold here in Michigan!! I left them over night since was not yet ready to make/decorate and they were perfect consistency to work with. (Only change I made was to add extra Kahlua) I rolled mine in cocoa, espresso powder, finely chopped almonds & chopped chocolate. Will have to make 1/2 batch to keep all for myself they are delish!! MARA – TRY MIXING IN SOME POWDERED SUGAR AN/OR VERY FINELY GROUND ALMONDS. YOU NEED SOMETHING LIKE THAT TO ABSORB THE MOISTURE. How much of the powdered sugar are you supposed to add? Has anyone made these with coconut cream (from full fat coconut milk) vs. heavy cream? Can’t do dairy. These look so decadent! I bet that flavor is amazing! These look incredible! I would eat them all!